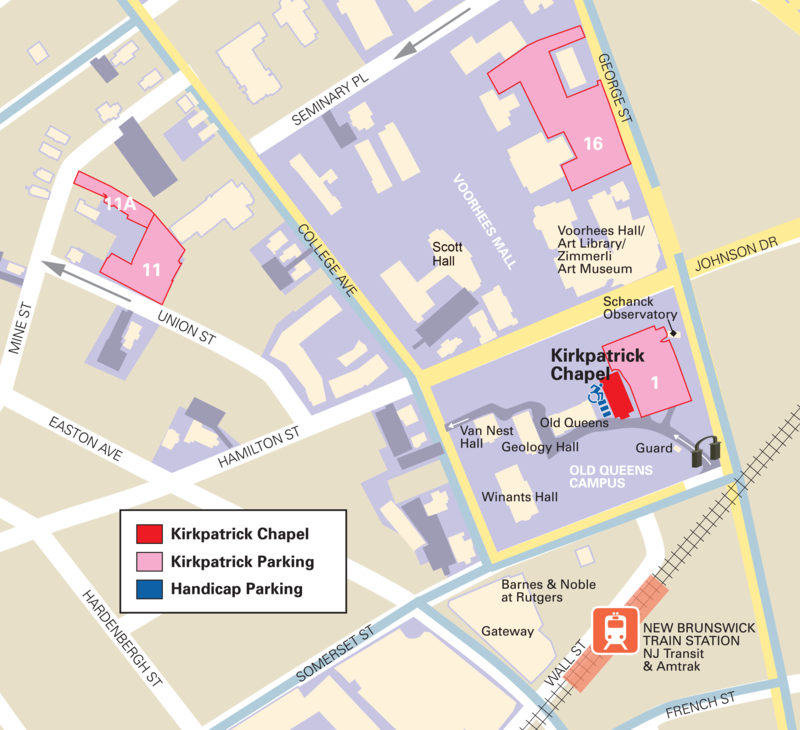 Kirkpatrick Chapel is at 81 Somerset Street, on the elegant Old Queens Campus in the heart of Downtown New Brunswick, New Jersey. 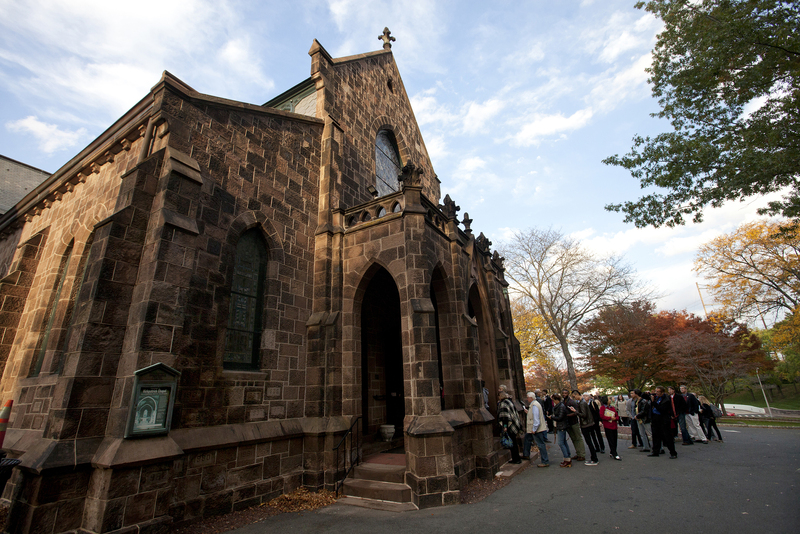 The chapel is easily accessible by car, public transportation, or Rutgers campus bus, and visitors are welcome anytime during normal operating hours, Monday through Friday, 9 a.m. to 4 p.m. Visitors may park in lots 1, 11, 11a, and 16 starting 45 minutes prior to the scheduled performance/ceremony start time. Metered spaces on Somerset Street are also available. Secondary parking is available in the public parking decks in New Brunswick. Convenient handicap-accessible parking is located adjacent to the building on a first-come, first-served basis. Appropriate placards or license plates are required. Rutgers faculty, staff, and students must follow all rules and regulations regarding lot assignments authorized by their particular permit. 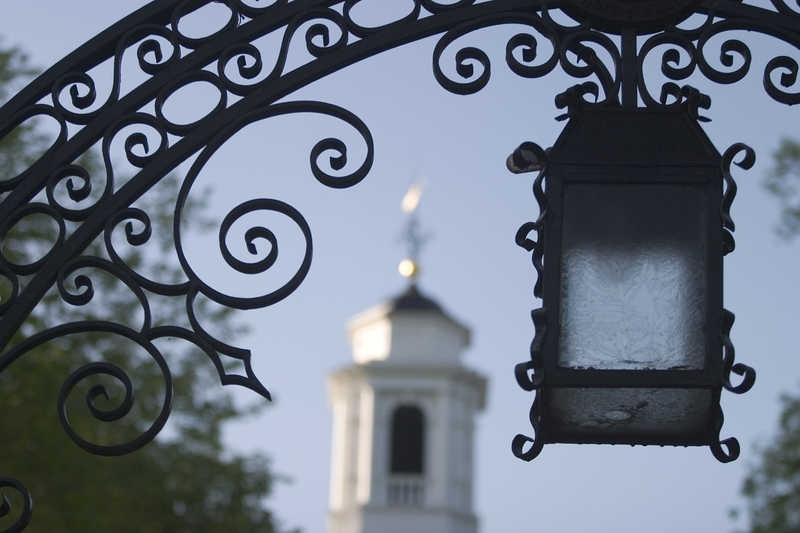 Parking regulations are in place 24 hours a day, seven days a week. Up-to-date rules and regulations are here. After the Paulus Blvd. light, follow signs at the split for "New Brunswick Exits." Take Albany Street/Route 27 South exit. At the third light, turn right onto George Street. 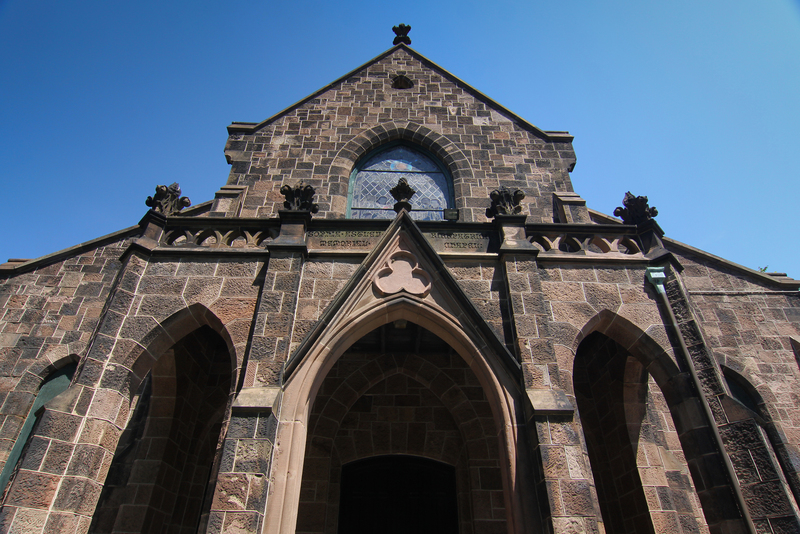 After the railroad bridge, proceed through the black iron gates directly in between George and Somerset streets. Cross over the river via the John Lynch Memorial Bridge, take the first exit (George Street-Rutgers, New Brunswick, Route 27). Keep left to the top of the ramp. At the light, go straight onto George Street. After the third trafflic light, take a sharp right turn through the black iron gate. RU lots 1, 11, 16, or New Brunswick public parking. Designated spaces between the chapel and the Old Queens building.